Pioneers in the industry, we offer electric meter boxes and three phase meter boxes from India. 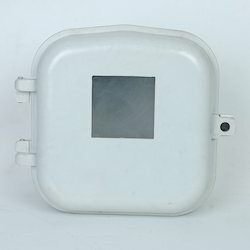 Our clients can avail form us superior quality Electric Meter Boxes. These are widely used in domestic and commercial electricity connections. Being highly durable and reliable, these boxes are very popular in the international scenario. We take into account the different needs of our clients and offer suitable range of products. Our company is known to be a specialist in offering a wide range of the best quality single phase Meter Boxes. We make use of superior grade of SMC and DMC material. These boxes are having superior mechanical strength, are lighter in weight and have anti corrosive property. 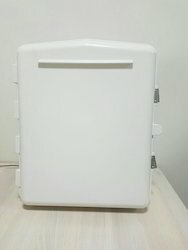 Thus, these are widely used by electricity boards, commercial establishment, hospital etc (three phase meter box will be introduced in SMC / DMC shortly).